My Sweet Patootie embraces the fun that makes live music so intoxicating. Shades of vintage swing, country blues, folk, and ragtime collide in an uplifting vaudeville-style show performed with tight vocal harmonies, instrumental virtuosity, and humorous storytelling. It's a unique musical experience that transcends the borders of the acoustic-roots genre, promising to entertain music lovers of all kinds. 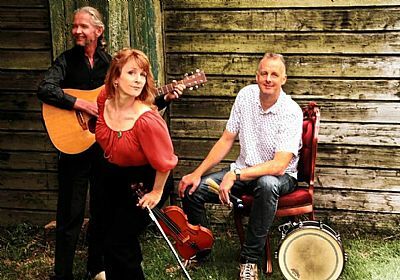 This dynamic trio features Canadian Folk Music Award winners singer-violinist Sandra Swannell and singer Terry Young who's fingerstyle guitar work functions simultaneously as the group’s guitar and bass. The tasteful brushwork of percussionists Paul Clifford (North America) and John Jackson (UK) perfectly complements their music and makes their show adaptable to any size performance space.